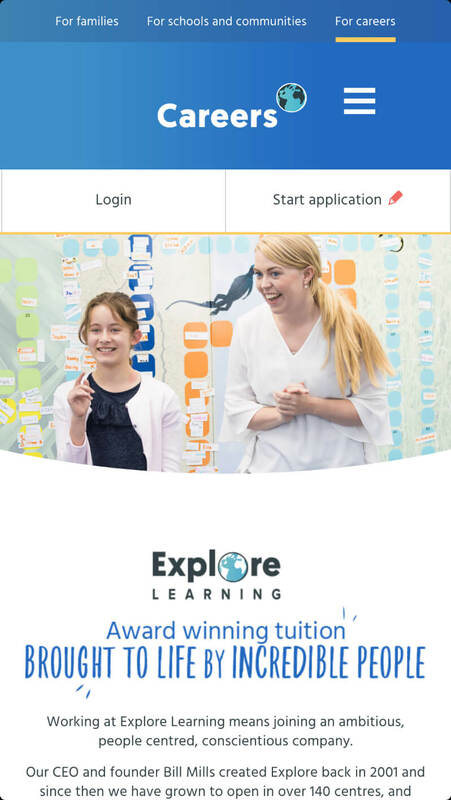 Explore Learning have over 130 centres located throughout the UK. 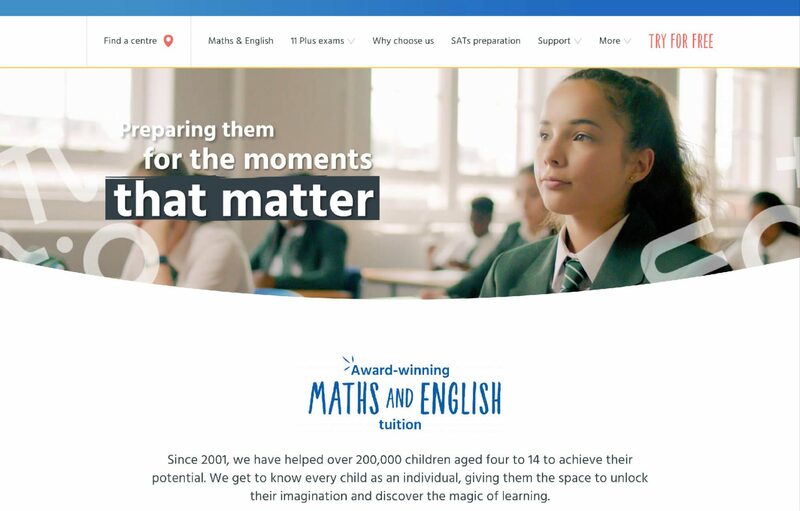 In them, they provide award-winning tuition for children of all abilities, as well as offering amazing opportunities to develop their key skills within Maths and English. 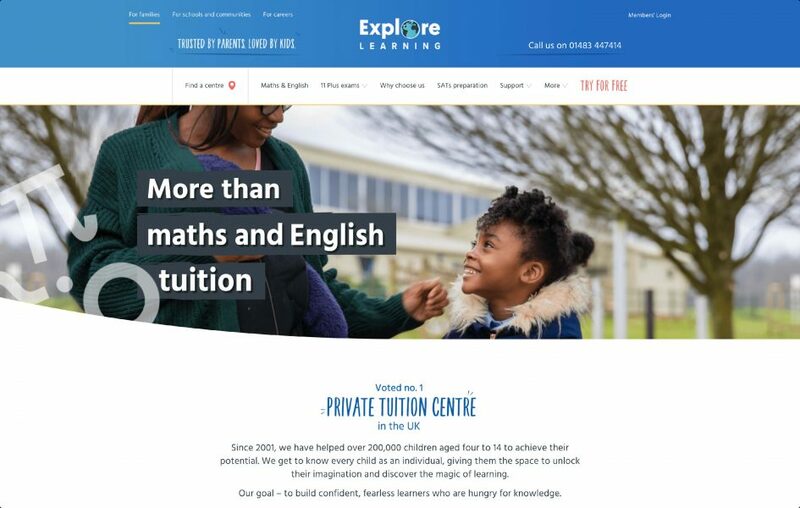 With their out-of-hours tuition, the Explore curriculum includes Maths, English, Creative Writing, Handwriting and tutoring especially for entrance exams, such as the Eleven Plus. 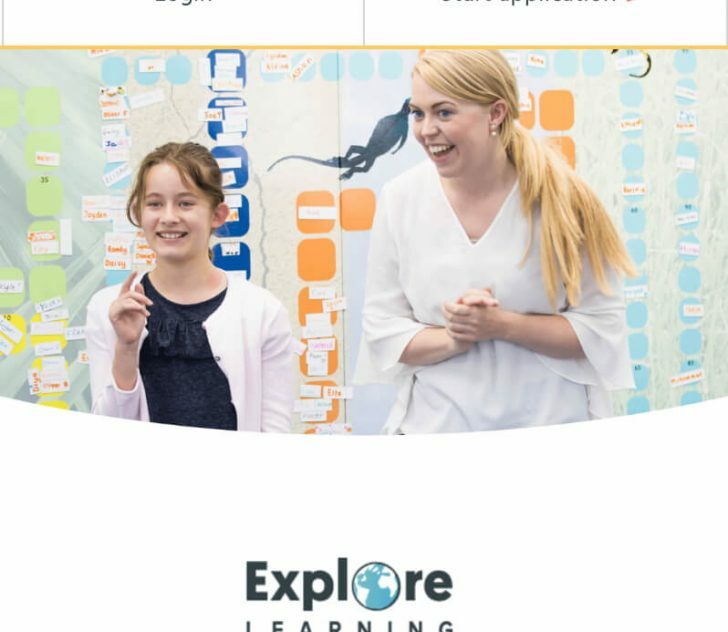 Explore Learning tutors work with children in a maximum ratio of 1:6, ensuring the right balance between individual support and independent learning. We worked with two key brand typefaces, one of which, Yard Sale, was selected to create a friendly, approachable look and feel. A set of icons were designed that fitted around the rest of the brand, adding to the friendliness and simplicity. 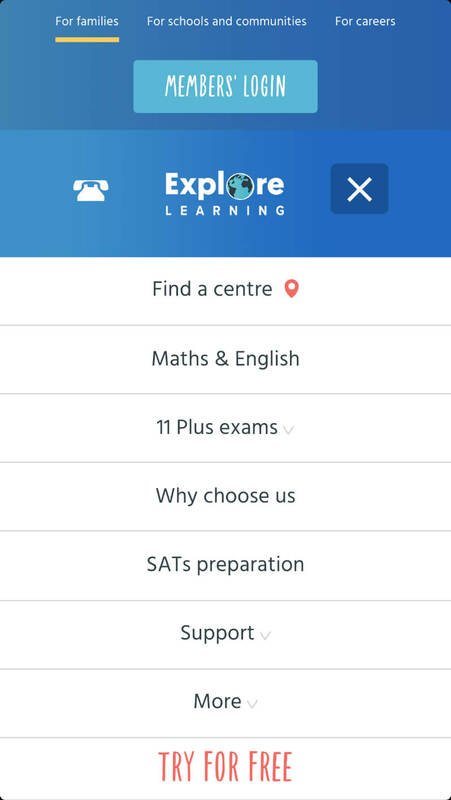 Explore Learning have three key user groups: parents, schools and potential employees, so we needed a navigation system that differentiated these to make access simple. 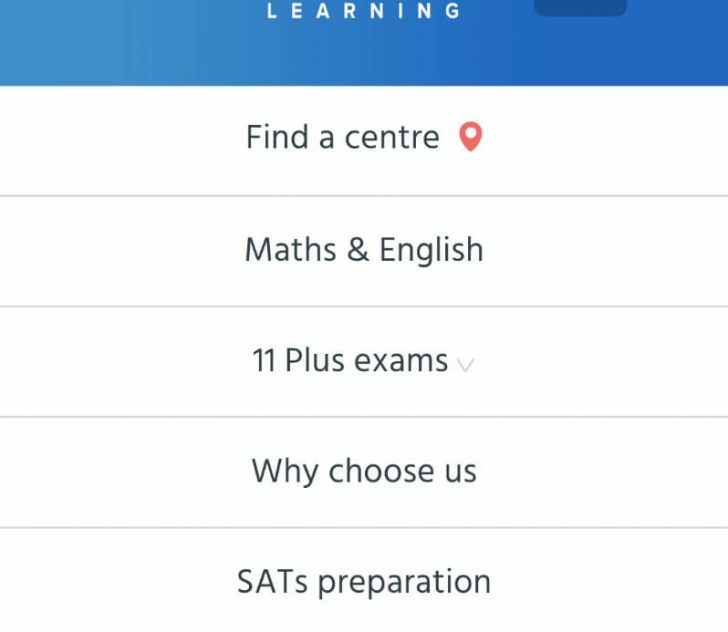 We developed a three choice navigation with the site adjusting to each audiences needs when selected. We’re always making performance improvements to our sites. 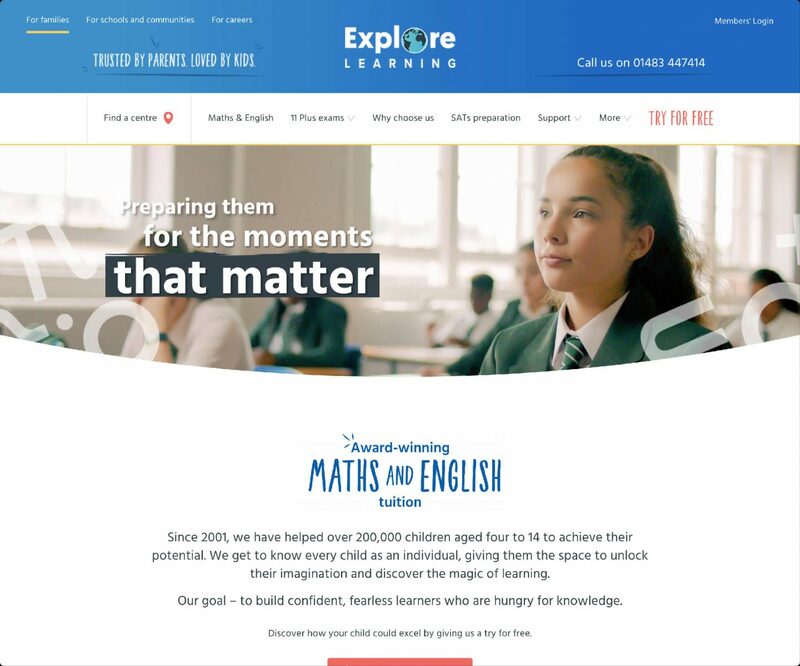 We’ve been working closely with Explore Learning to ensure a quick and responsive experience with it’s users. 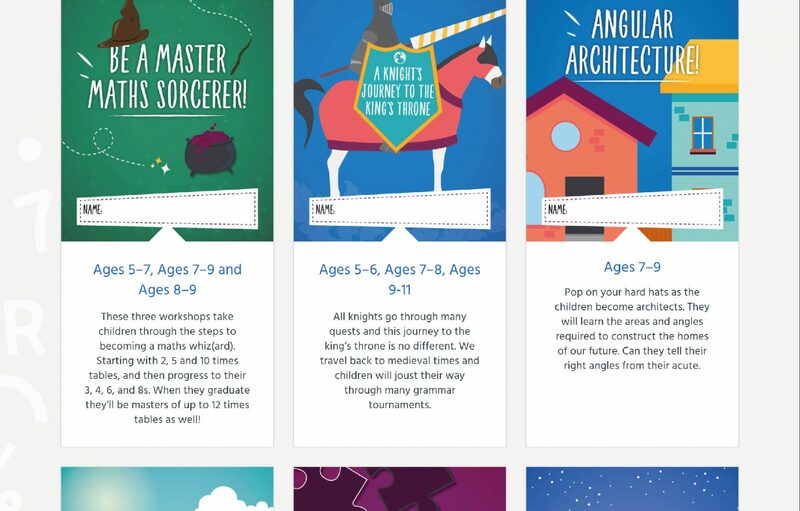 Strawberrysoup has been a real partner to Explore Learning and the people are just the perfect cultural fit for our team. 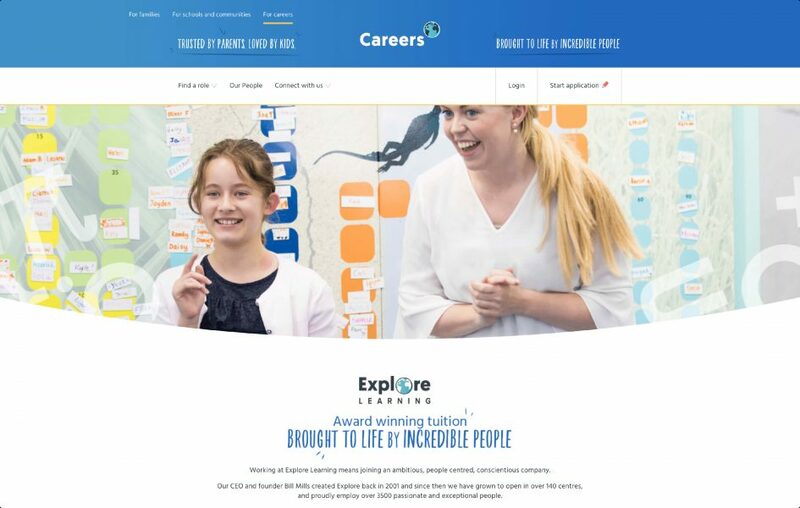 They are always on hand to offer innovative solutions to any challenge we throw their way; from designing and building our rebranded website to ongoing development and SEO support, I always feel confident that everything is being dealt with by the experts. 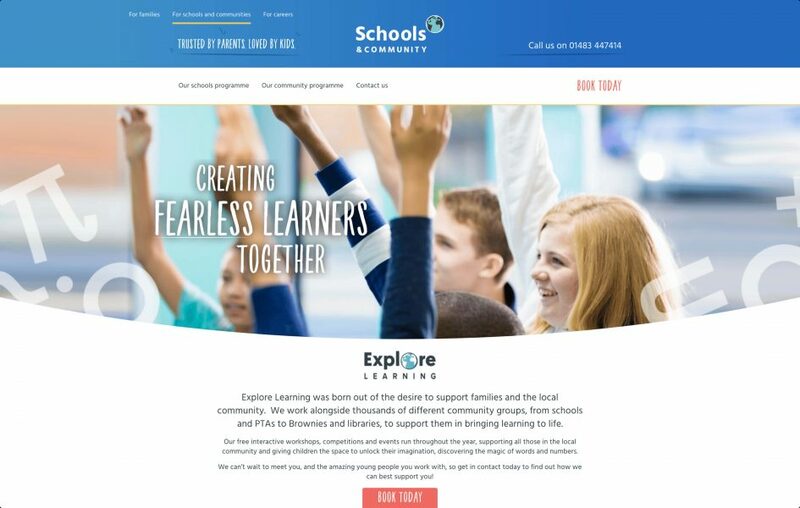 We support Explore Learning on a day-to-day basis with their SEO. 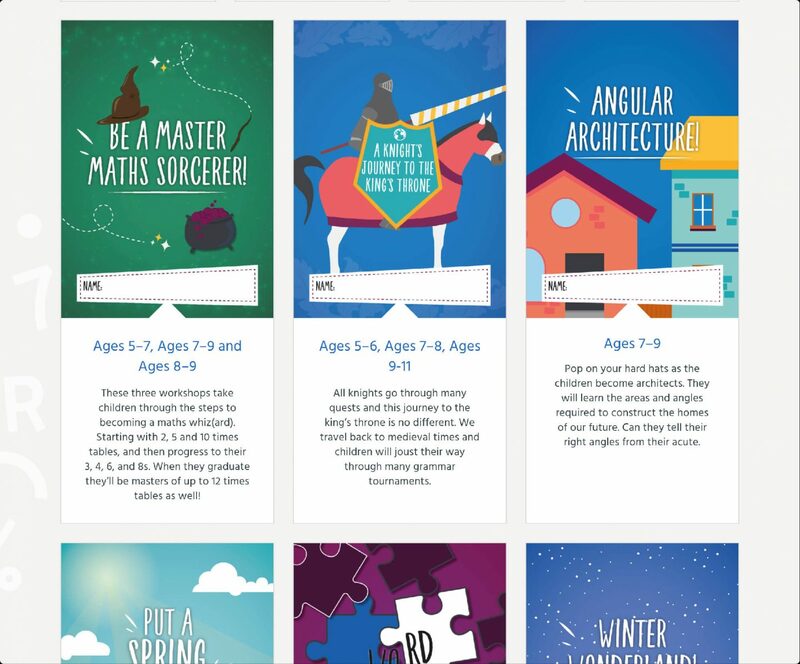 The overall goal of the site is to increase the number of users booking their child in for a trial session. To improve this, we undertake general SEO work to improve page visibility and ranking on Google, but we also run experimental tests, A/B testing and Conversion Rate Optimisation to maximise the sites conversion potential. Find out more about our most recent test here.